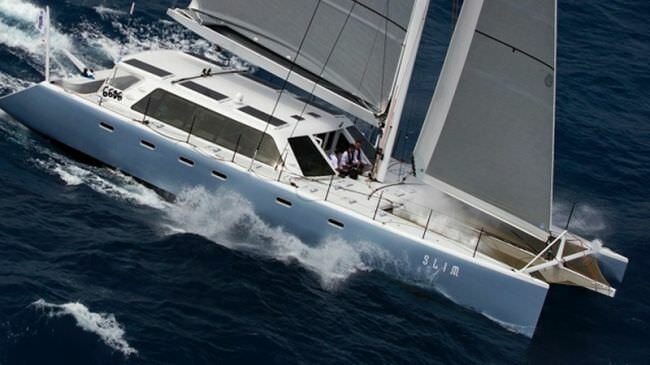 SLIM is the last of her series, a Gunboat 66 designed by Morrelli & Mellivin as a fast cruising catamaran. 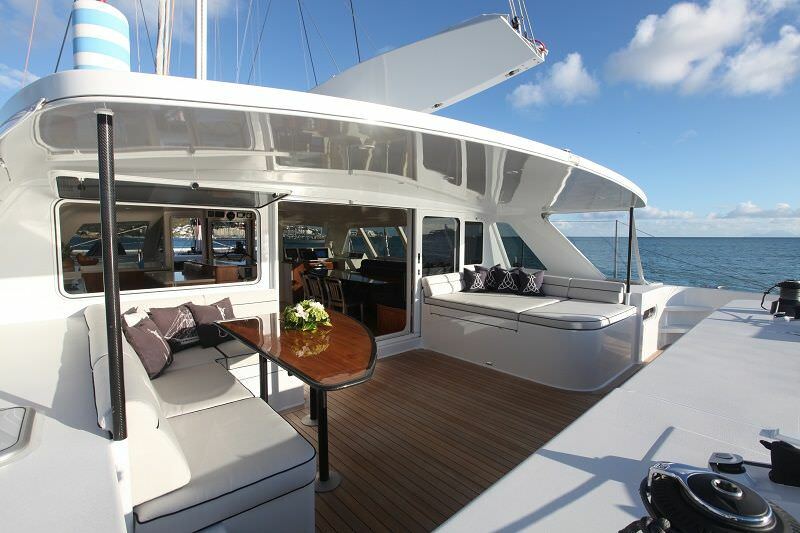 She is custom fitted to her owners requirements for cruising the globe and exploring those places that only being on a yacht can offer. 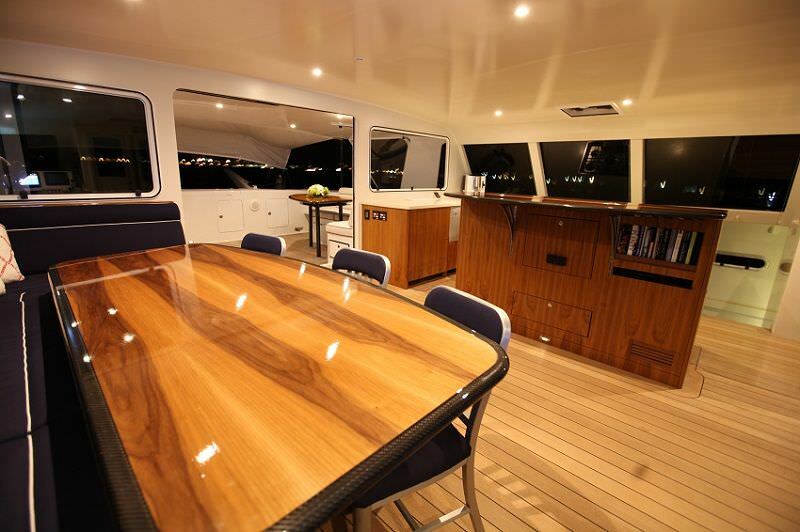 Owners/master cabin is starboard forward with double bed featuring en suite facilities. 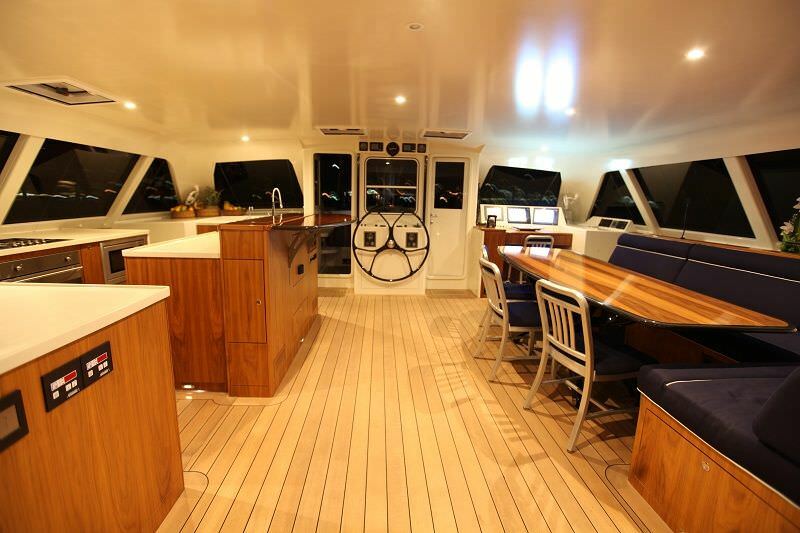 Starboard aft is crew quarters with ensuite facilities. Port Cabins share heads and shower. 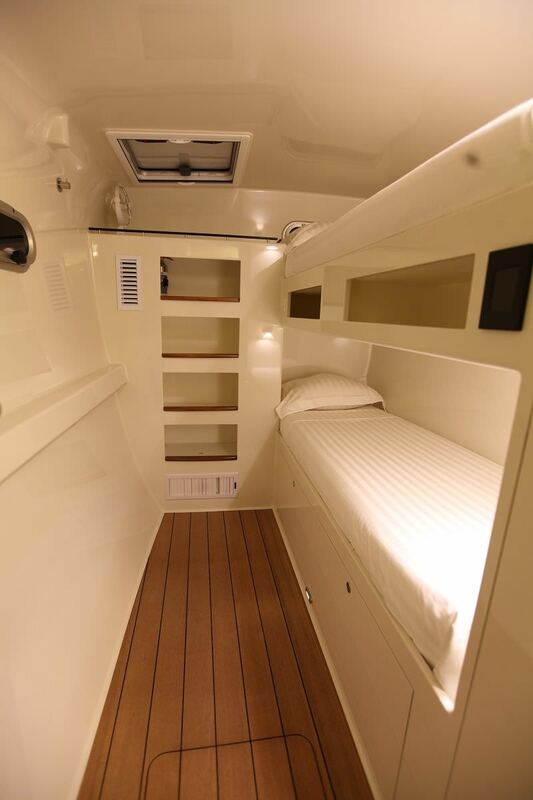 Port forward cabin is two bunks. 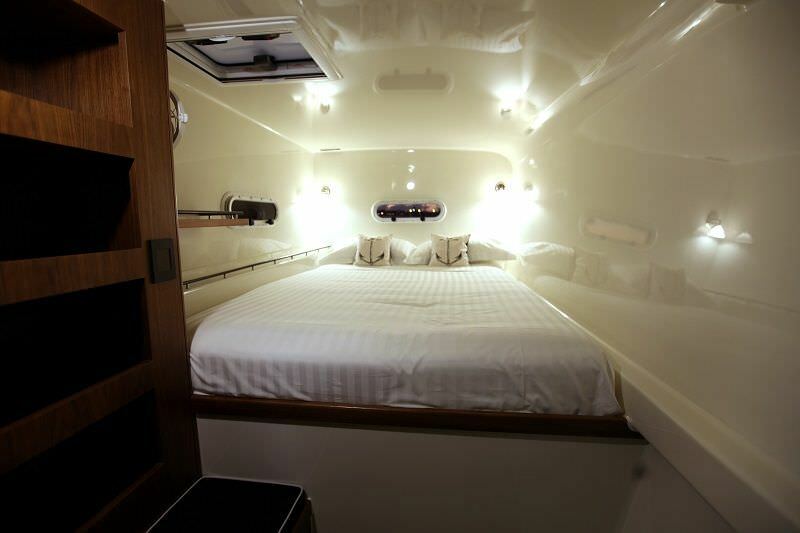 Guest aft port is double bunk: 150cmx200cm. Mid-guest cabin is double bunk: 150cmx200cm. We understand the arrangement in the starboard hull, but in the port hull, are there three cabins (two with double bunks, one cabin with twin bunks over and under only?) and all sharing a head and shower, or are there two cabins (one with double bunk and one with twin bunk beds) also sharing head and shower? 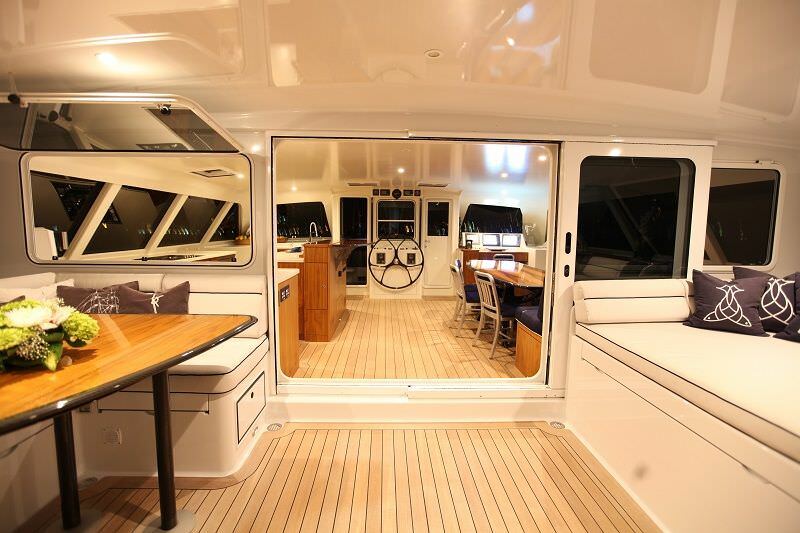 Port hull is as follows: Aft cabin with double bed. Midships cabin with double bed. Forward cabin with over/under bunkbeds. All port side cabins share a midships head/shower and a separate shower just forward of the aft cabin. The owner set the port side up with just his kids in mind…he was only talked into chartering a few years after owning Slim hence she’s more suited to a family than 3 couples, or 2couples as that way one couple gets the privacy of the entire port side and the other couple gets the Owner’s cabin which is full privacy. Originally from Durban, South Africa, Travis has a rich and formidable understanding of the ocean and is a specialized Gunboat captain. His enthusiasm for sailing across oceans is equaled only by his love for swimming, cycling, and running. He enters Ironman triathlons whenever SLIM's itinerary allows. Ana, born in Cordoba, Argentina, has a fantastic combination of warm hospitality and fiery wit. Her South American spirit of adventure and fun-loving attitude radiate as she explores new horizons. She has a deep love for the ocean and her sailing experience runs just as deep. Ana's has a passion and a refined sensibility for healthy tasting cuisine influenced by the many cultures she's been exposed to while traveling around the world. 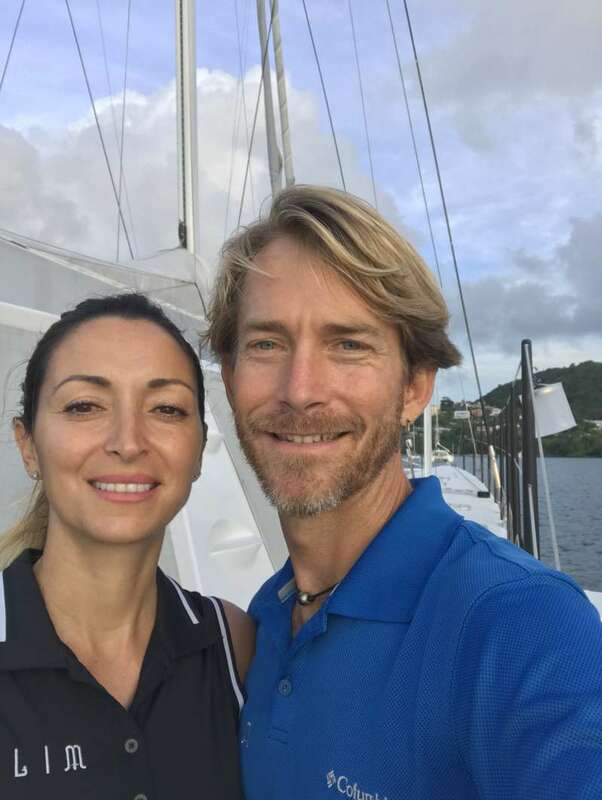 Ana and Travis have been sailing together, specifically on Gunboats, since 2007. They share a deep love and respect for nature and intuitive understanding of marine ecology and oceanography. Their stories of adventure will keep you well entertained and relaxed in the knowledge that you are in safe and experienced hands while cruising the beautiful waters of the Caribbean.